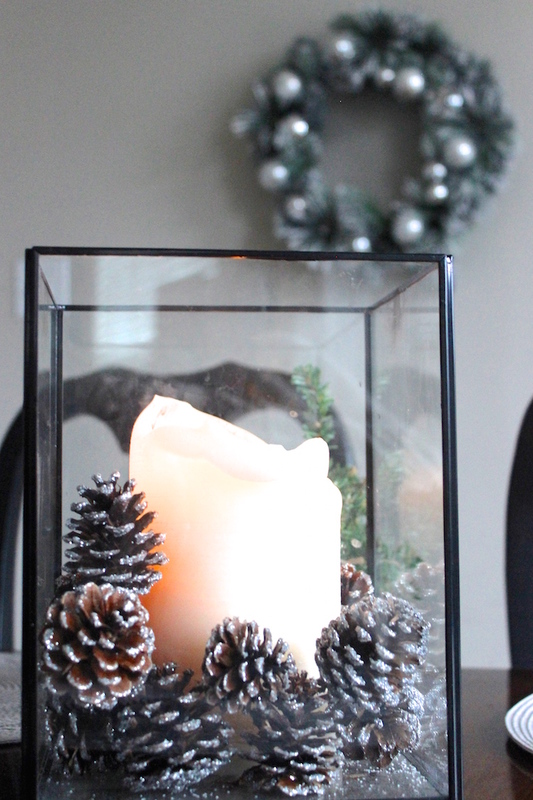 Sparkles make everything a little more festive and this glittery pinecone candle centerpiece was so easy to put together – just in time for the holidays! Anyway, I have been favoring the minimal look lately. 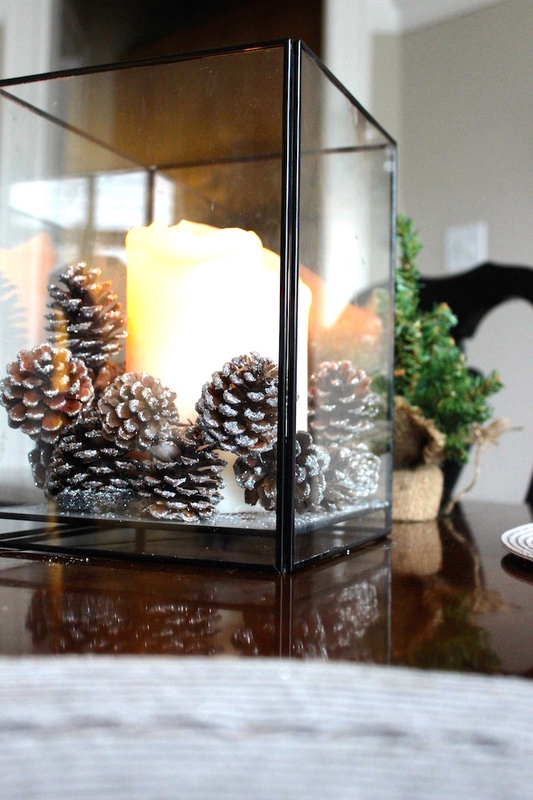 I thought I’d give this simple hurricane candle holder a little holiday spirit and share it with you! It was so easy to make and looks great as a dining room table centerpiece, on the mantel or anywhere really :). I made these glittery pinecones a couple years ago and they have held up great. They were so simple to make too! 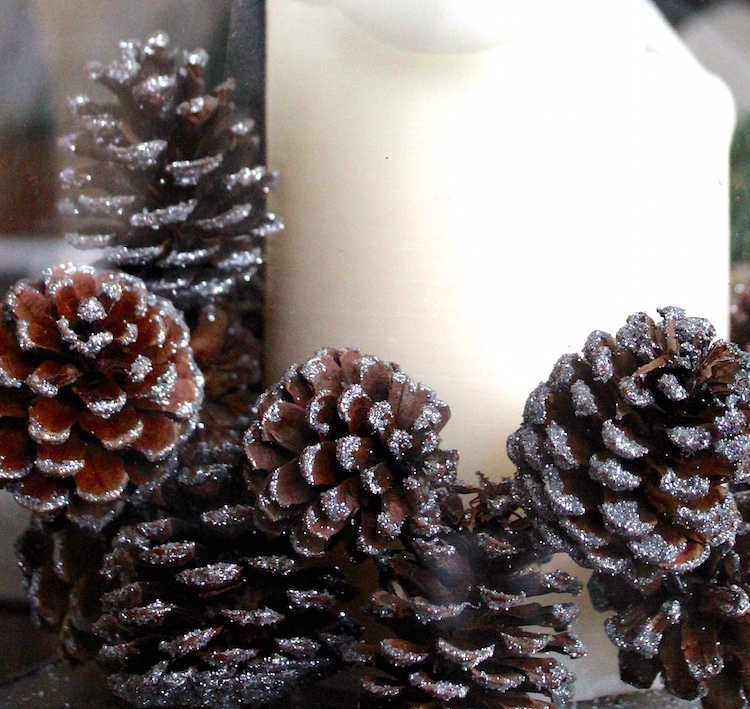 Just add some glue to the tips of the pinecones, sprinkle glitter over them and let them dry. Easy peasy. 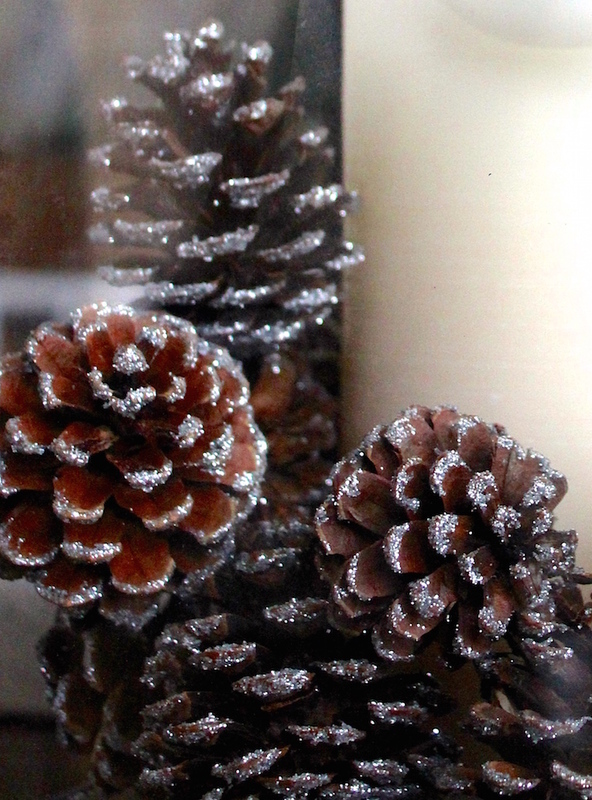 I’ve used these sparkly pinecones in decor all around our apartment in past holidays – thrown in a bowl, vase, displayed on a shelf, you name it. I may have a weakness for crafts with glitter. Oh, and gold leaf. Can’t get enough..